The Northamptonshire Podiatry Department of the Northamptonshire Healthcare NHS Foundation Trust (NHFT) treat over 60,000 patients each year, working across over 20 sites, residential homes, as well as visiting housebound patients throughout Northamptonshire. As part of the multidisciplinary team, the service works closely with the Musculoskeletal Service and the Northamptonshire Diabetes Multidisciplinary Team (NDMT) increasing the number of patients treated outside of the core podiatry department to a substantially greater number. 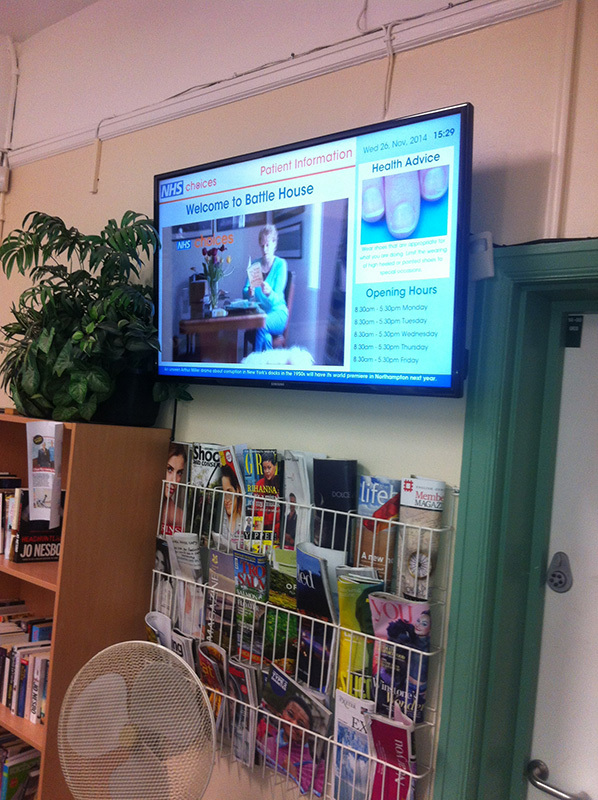 The Northamptonshire Podiatry Department of the Northamptonshire Healthcare NHS Foundation Trust wanted a digital way to communicate important healthcare messages to patients at one of their core podiatry treatment centres. 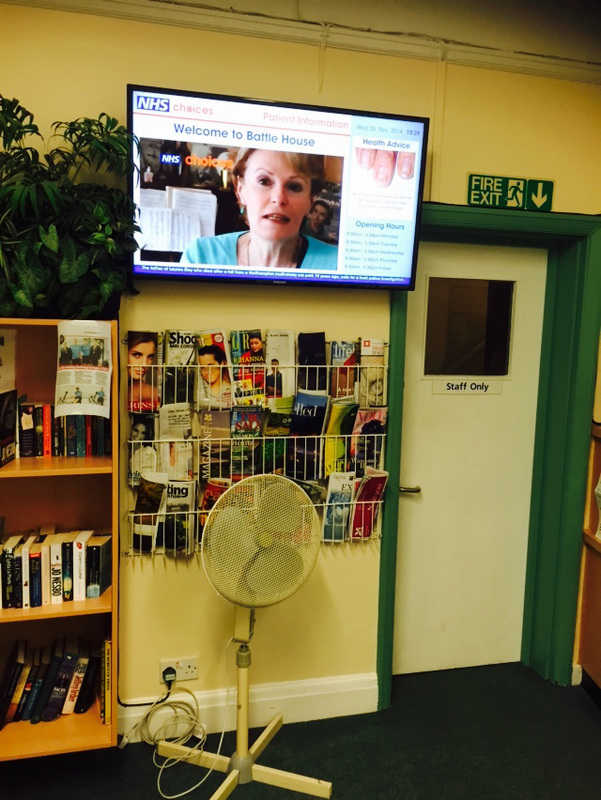 The primary purpose was to continue to raise awareness of health tips, general podiatry department information, patient case studies and provide patients with a focal point when visiting the treatment centre. 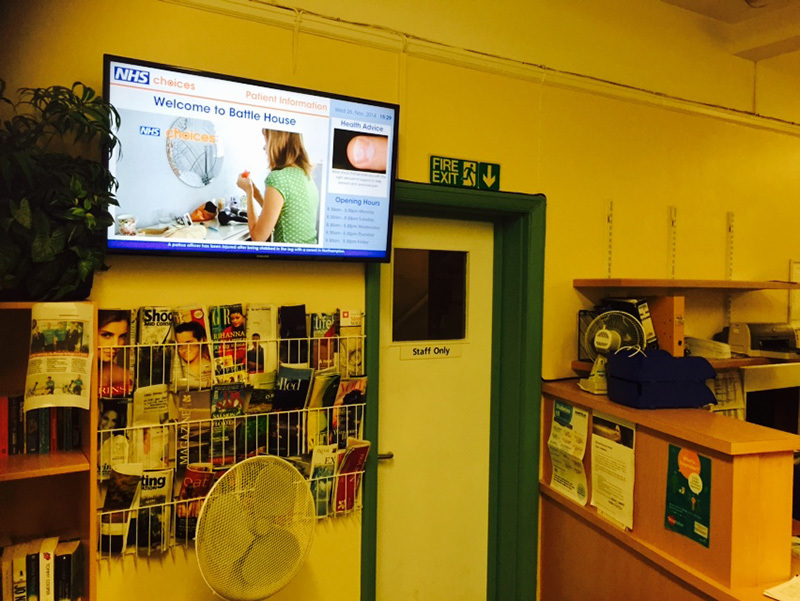 Eclipse Digital Media provided The Northamptonshire Podiatry Department of the Northamptonshire Healthcare NHS Foundation Trust with a cloud based digital signage solution to deliver their healthcare digital signage needs. Paired with the cloud based software is a ONELAN digital signage media player used to download and run the content, which is connected to a Samsung commercial grade display. Using the cloud based digital signage software; embedsignage.com, Eclipse Digital Media are able to provide the NHS with a user friendly software solution that allows the users on site to update the multi zone layouts with images, movies, text, RSS data and publish to the display in an instant, keeping the information on the screen fresh and relevant to the patients all of the time.